In “What Gives the Morpho Butterfly Its Magnificent Blue?” KQED Science host Jenny Oh Hatfield explains the concept of structural coloration, the process that gives the topside of a Morpho butterfly‘s wings its gorgeous blue color. Morpho butterflies live mostly in the tropics. When resting, they fold their wings up, showing their dark earth-toned undersides. The brown, yellow and black colors are generated by pigments. But the other side is all about structural color. It gives their wings a vibrant, iridescent blue hue. Each scale is like a pixel, a tiny tile in a larger mosaic in layers of overlapping rows. …Ridges on the scales’ surface are a key component that affect how the wing spreads or refractslight, similar to a prism. 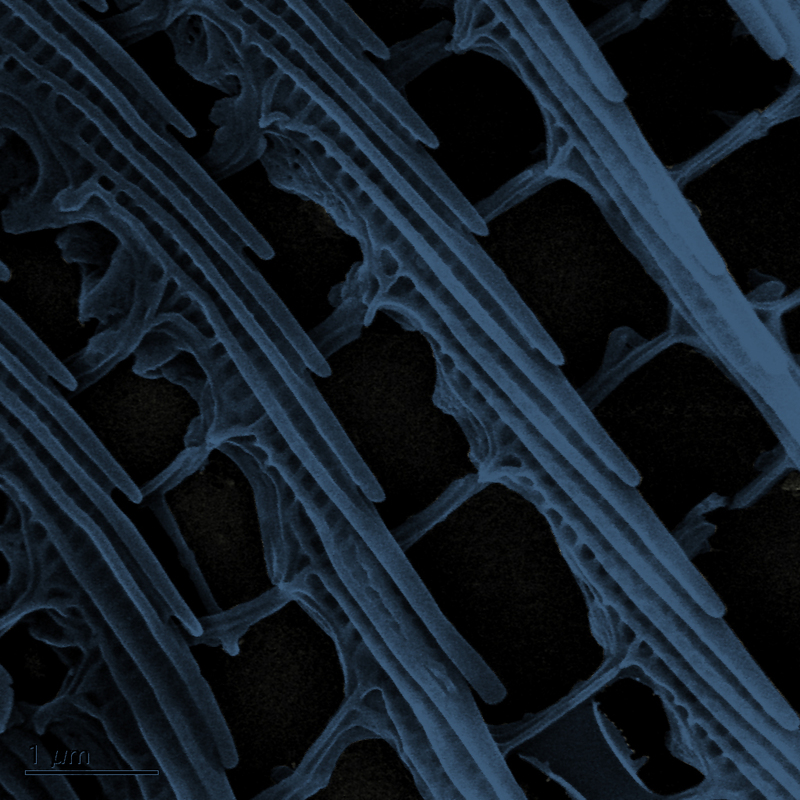 When light hits these ridges, a phenomena called constructive interference comes into play. The spacing within the ridges,which look like little Christmas trees, perfectly reinforces specific wavelengths while canceling out others. 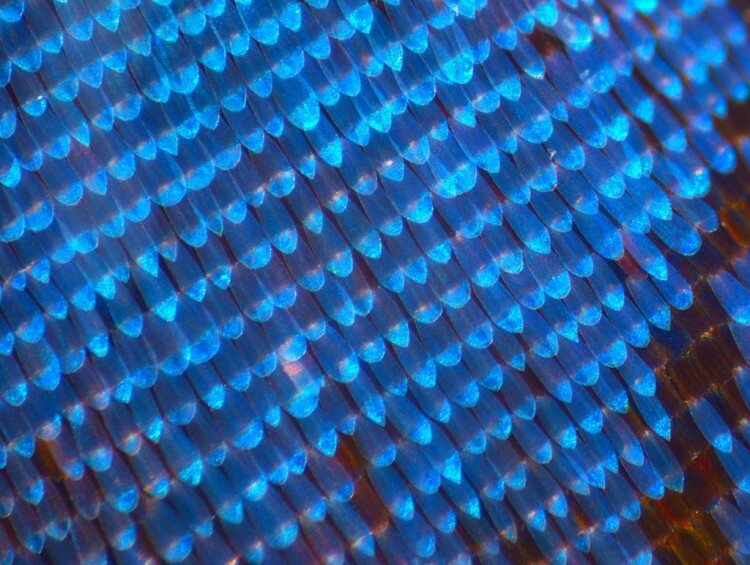 This is why your eyes perceive that shimmering blue.